As with most self-proclaimed "gamers", a significant portion of my gaming exposure and education occurred in my younger years. As it happens, a lot of those experiences came in the early 2000s, when my brother handed down his Playstation to me, the first console I'd ever "owned". I remember countless hours taking on my friends in Madden, mastering the courses in Crash Team Racing, and of course, conquering the different locations of the Spyro universe. When I heard a remaster of the Spyro trilogy was coming, I couldn't wait to dive in and take a trip down memory lane. As it turns out, what I remember of the Spyro games is that I loved playing them and not exactly what I loved about them. In fact, even now when I think about Spyro, I honestly can't recall a really significant detail of the game. I mean, obviously, I remember that Spyro is a cool purple dragon and he runs around breathing fire and gliding and collecting gems, but beyond the surface, I really couldn't remember WHY I loved Spyro in the first place. In this regard, the Spyro Reignited Trilogy was less a perfect recollection of my gaming history and more a vivid trip down a very hazy memory lane. First off, Spyro Reignited is just beautiful. I mean, even alone, this game's visuals are stunning, but when you go back and compare each version to its original counterpart, it's even more incredible. Every world is a whole different experience and it makes it all the more pleasurable to meander through each level to completion. Even the character models are completely overhauled. Every dragon you rescue in the first game feels completely different, has a unique personality, and delivers interesting and sometimes helpful voice lines. Speaking of voice lines, I absolutely adored the voice work in the game. Despite the silliness of the writing (I mean it's for kids so I get it), the voice work was really solid and made me enjoy each and every cutscene. If I'm being honest, eight-year-old me probably didn't fully appreciate Spyro's music at the time, but twenty-five year old me took plenty of time to marvel at the music in Spyro Reignited. It's fun and catchy and not so overpowering that I hear it all the time. It definitely meets up with my perfect meter of video game music. I appreciate music in games that's understated enough to not be ever-present, but matches the pace and emotion I'm feeling at just the right moments. I get jazzed when the action music kicks in right in the heat of battle, or the perfect tune serenades me as I explore a new region. 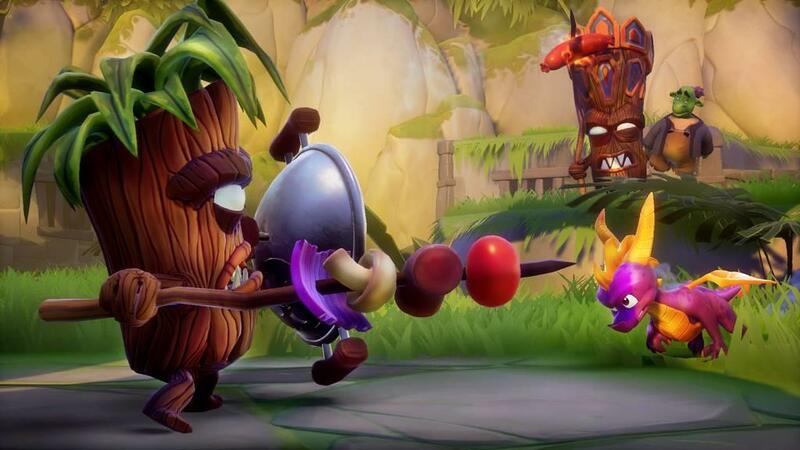 Spyro Reignited pulls this off beautifully, and it really enhances the game. The mechanics in Spyro are largely unchanged, as is expected. The game breaks down into a couple key controls: breathing fire, jumping and gliding, and headbutting. There are some pretty simple rules, like breathing fire on most enemies to destroy them or headbutting them if their metal armor proves immune to fire. The other half of things, jumping and gliding, plays a really big part in the game. Most levels are a combination of platforming and then gliding to reach new areas. My only real complaint comes here, as I feel like the gliding mechanic was a little inconsistent. There's a lot of reinforcement from NPC's that the key to success is to start gliding at the peak of your jump, but I found it pretty hard to make glides that were designed to land at the very end of your glide. A better indication of what exactly was the top of your jump would probably help a bit, but ledges could also be a little bit more forgiving for the same effect. Despite the games simple mechanics, the level design is what really shines. There's a great combination of exploration and puzzling that is drastically different across levels, so it never feels old. The puzzles aren't incredibly challenging at all times, but there's a healthy enough mix of simple and complicated that I found myself returning to previous locations after an "A-ha" moment. Each world generally has some explorable areas and an area dedicated to a boss fight, so there's plenty to break up any potential monotony. 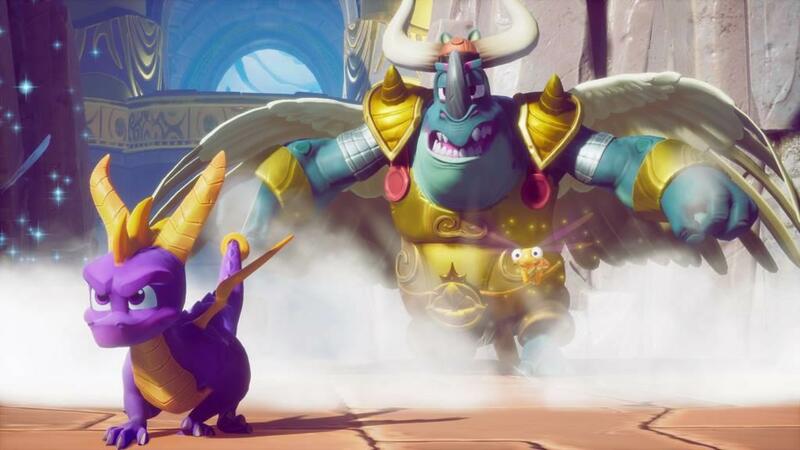 In the first two Spyro games, you only play as Spyro throughout the game, but the third adds a whole host of characters you can take control of to navigate the world. This introduces a lot of mechanics that add more complexity to the game, but some of the characters have somewhat awkward controls. Some of my favorite sequences in the game were the flying challenges. In these, you take control of Spyro in a map where he flies around trying to complete all the challenges before time runs out. This generally involves flying through rings and arches, destroying enemies, lighting lighthouses, and collecting chests. There's an individual challenge for each thing, but there's also a bonus for completing all the challenges in one run. It's tough, but trying to figure out the most efficient route was one of the most satisfying experiences in the game. 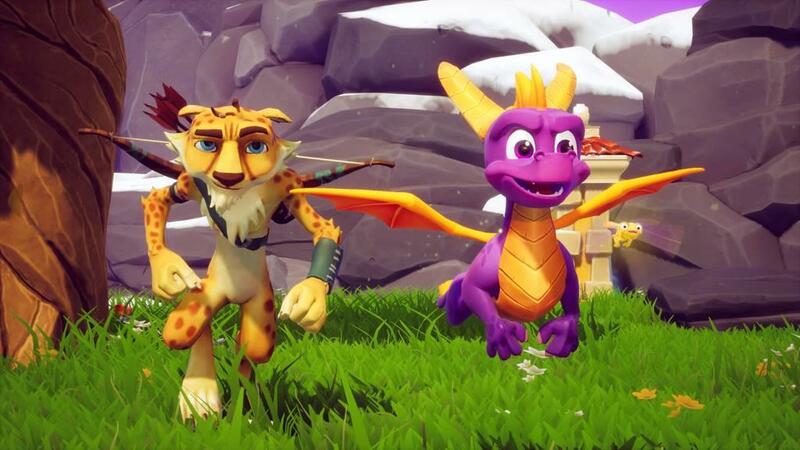 The Spyro Reignited Trilogy is an absolute pleasure and a strong continuation of Activision's commitment to remastering classic games. 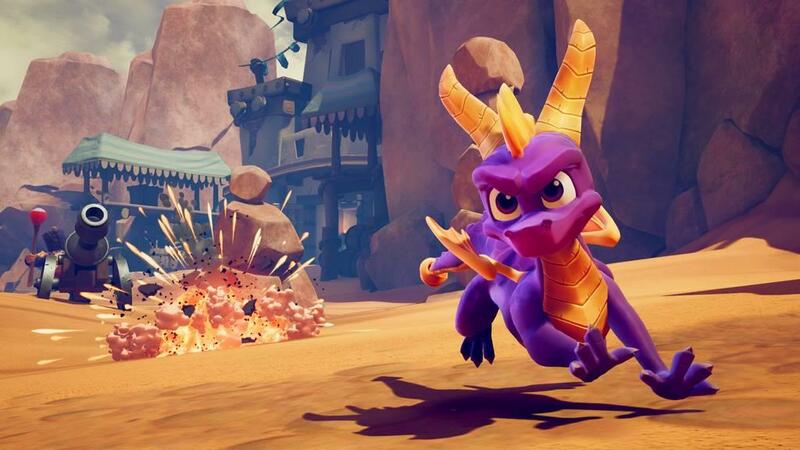 For those who grew up with or loved the old Spyro games, I can't imagine you won't find yourself engrossed in the collective quality of these remasters. For those new to the world of Spyro, this game is a winner even without its history. Plus, a very attainable set of achievements (or trophies) means you can earn yourself some rewards along the way.